We have published many inspirational stories in the past and you can find some inspirational stories collection here, here and here. Today we are here with yet another amazing story. A story of you and your heart. 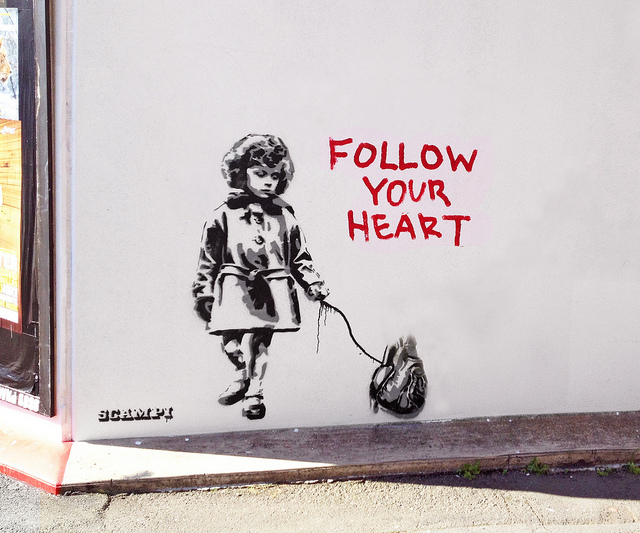 A story that signifies the statement – follow your heart. Well! I am beating for the last 72 times now. You know, you should have quit your job that day when you had the chance. You always wanted to become an entrepreneur. It was your dream. I was telling you from deep inside to do that. But you doubted. (interrupting angrily) Look around you, you moron! Do you see Mr. Smith beside you now? Do you see any people whom you always chose over me? (crying out loud) No! I am sorry! I should have trusted you. I wasted my life doing the things I never loved. If you would have listened to me, you would have been a fine entrepreneur today. You would have given away millions of dollars towards education of poor kids which you always wanted to. (still crying) You are right. I am sorry! I could have changed so many lives. Give me one chance please. Only one chance! I know I have the potential to do it still. I beg! Please! I was with you every second of your life. Right from your mother’s womb till now. I knew how much potential you had. Because I was the one who was inside you. Who would have known you better than me? I can’t shout like other people. I speak very subtly. Every single time when I told you something, you heard but you chose to ignore, because you wanted to be good to everyone else around. You obeyed them. You believed them who told about what you can do and cannot. You could have been so much more. You could have achieved such great heights. (whispering) Its over. You had one chance and you wasted it dear. Sorry! This story is taken from quora. I read this article and found it very interesting, thought it might be something for you. The article is called An Inspiring Story – Follow your Heart and is located at http://www.videoinspiration.net/blog/inspiring-story-you-heart/.